Canada’s Paralegal Professional Conduct Guidelines. 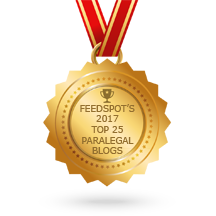 ≈ Comments Off on Canada’s Paralegal Professional Conduct Guidelines. Convocation amended the Rules of Professional Conduct and the Paralegal Rules of Conduct to implement the Federation of Law Societies of Canada’s Model Code of Professional Conduct. The Paralegal Professional Conduct Guidelines were also amended. •The amended lawyer and paralegal rules, and paralegal guidelines, come into effect October 1, 2014. •Most amendments are minor, however some changes are more substantive and introduce new standards – particularly changes to the rules dealing with conflicts of interest, undertakings and withdrawal from representation. See summary of changes – lawyers (PDF) and summary of changes – paralegals (PDF). •The new lawyer rules include a new numbering scheme that mirrors the Model Code. •The Law Society is developing new and updating existing resources to assist lawyers and paralegals. The Law Society is offering free webcasts to ensure that all members can access important information on these changes. Free webcast on amendments for paralegals – September 8.